Jimbocho is a town known for many things, curry, Meiji University, and most of all books! Today I will introduce you to the Jimbocho book festival! The festival was supposed to have started yesterday, but due to the typhoon it was cancelled. Today however, it is up and running like it's supposed to. And look at all the people!!! English for those of you who crave a little reading on your journey. Well the festival might be over this year but there is always next! If you get the chance, stop by! adesso in questi giorni,si sta avvicinando il tifone. vogliamo che esca il sole!! Typhoon is coming on tomorrow end of afternoon...please be careful, stay at safe place from 6pm!!! What can we do when it's raining outside...? And because it's been raining since a few days now, our great Irina has brought up some cakes with her!!! Check this out! It is soooooooo good taste!!! Please come and have a drink during the typhoon, don't let it blow your mind! See you soon at our Sakura Hotel Jimbocho!!!! If you are anything like me, you love fast rides and high places, this is the theme park to go in Japan! Fuji-Q Highland is at the base of Mt. Fuji so you can see it from the rides on sunny days! So I want to give you some trivia! Fujiyama, 259 feet tall, 80.8 mph. Opened in 1996, it was once the world's tallest roller coaster. As of 2007 it is the world's 8th tallest, 5th longest, and 10th fastest roller coaster. Dodonpa, 170 feet tall, 106.9 mph. Opened in 2001, it was then the world's fastest roller coaster. As of 2007 it is the 3rd fastest in the world but still has the highest acceleration at launch time. spin, thus allowing Eejanaika to invert 14 different imes, even though the actual track inverts only three times. 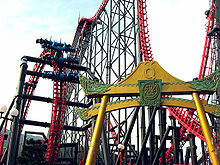 It surpasses the first built "4th dimension" roller coaster, X?, in both height and speed. Now is probably one of the best seasons to go as it's getting cold and it's not too crowded! It is however cold, so take a warm coat! And that's all the trivia for today! Last sunday, I had the chance to assist to a traditional tea ceremony, organized by the mother of a Japanese friend. As being a tea ceremony Sensei is her full time job, she has been practicing for years, and the ceremony was sooo interesting...so many people came, it was very nice! Before we all leave the temple, we all received a bento....and I must say that I had never seen such a beautiful bento before! In each leaf of the bento, there was a delicious sushi hidden inside!!! See you soon at our Sakura Hotel Jimbocho!!! Sakura House Friendship Party! Part 2! Yesterday we had another one of our Sakura Friendship parties here at Jimbocho Sakura Hotel. As you may or may not see we have AWESOME offers! Beer and food in copious amounts! and not only the conversation was our staff, Mr. So! If you pass by around here, you can ask him about them! Back to my infamous lunch guide! Today I would like to introduce a Thai restaurant. A very dear friend Tom-Yam-Kun! Absolutely amazing! Just look at all the noodles and veg. If you want to know more details just 'holla' at the staff! Look at how shiny it it!!! 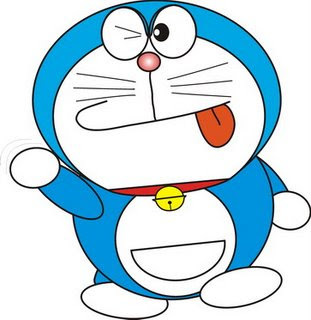 Shiny and sparkly, and DORAEMON! I will tell you right now!! Woo! Guess what...He's a cat...Not just any cat...A ROBOT cat!!! improve his circumstances in the future! The series has been going steady since 1969! It is one of my favourites so I recommend you all to read it! And that's all for today folks! if you pass by in front of our hotel, you will notice something different....look at the front door carefully.....Can you see any difference?? The colours of our terrace changed!!!! The atmosphere is much more warmer I think! Come and enjoy our new coloured terrace to have a drink!! !